The Trump administration doubled down last week on prioritizing the fight against ISIS over ending the Syrian civil war and getting rid of Assad, the policy under the Obama administration. Activist groups blamed Assad’s regime for a Tuesday attack where dozens of people, including at least 10 children, were killed and more than 200 were injured as a result of asphyxiation caused by exposure to an unknown gas or chemical agent in northern Syria. McCain — a vocal critic of President Donald Trump’s foreign policy — said the commander in chief needs to speak out against Assad and promise that his allies will pay a price for their actions against the Syrian people. 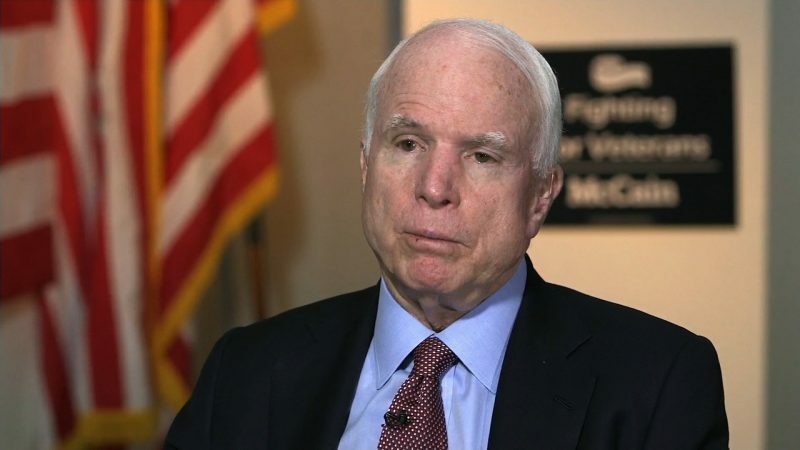 But McCain said he sees no clear foreign policy doctrine coming from the current administration. McCain didn’t limit his criticism to Trump but compared the President’s lack of action to that of the Obama administration, saying neither president took the situation seriously enough. “We’ve seen this movie before, when Barack Obama said they would have a red line and they crossed it and he did nothing,” McCain added. McCain wasn’t the only Republican encouraging the US to respond more forcefully. Sen. John Kennedy said the US can’t just sit back and not respond to Assad. “We can’t let them cross this line without having consequences,” he added.